#milkywaychasers to be featured or post on Facebook.com/groups/milkywaychasers. 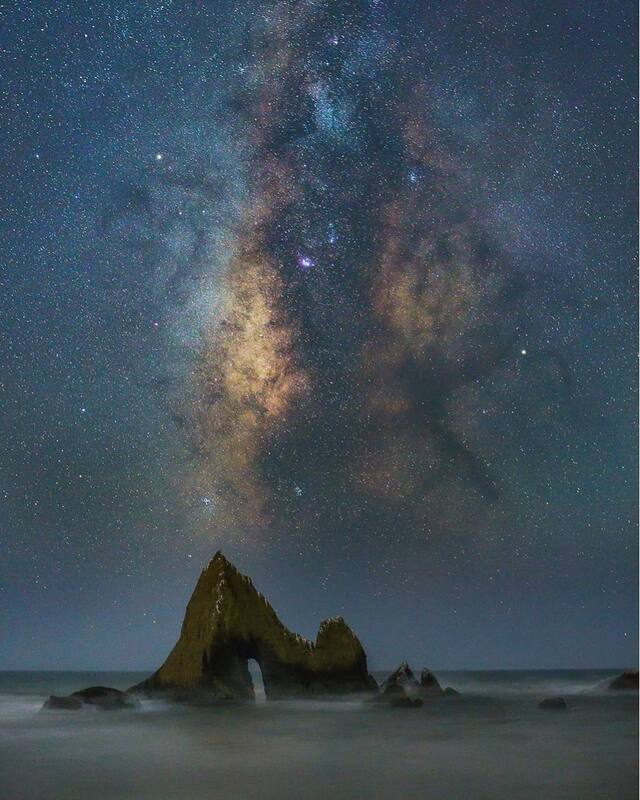 Tag a friend who might enjoy this Milky Way image and journey! I live on the Central Coast of California and it’s beautiful but it’s also very difficult to get a clear night sky to shoot Milky Way. Typically we have a thick Marine layer that comes in about an hour before sunset and just sits on the coast until a few hours after sunrise. And I’m not sure why but on nights when most of the coast in this area have a clear night sky this location tends to be full of fog. So we’ve not had many opportunities to shoot Milky Way here. That said, this has been another bucket list photo that I’ve wanted for a while but as i said the weather and timing have not lined up. On this day the weather lined up perfectly but my personal responsibilities and vehicle did not want to cooperate. Luckily for me a great photographer and super nice dude John Fox known as “@Omnitrigger”on instagram picked me up and we took a drive to this unique beach location (Thanks John). The conditions were great and we were the only photographers there. Aside from a ton of air traffic (planes) it was a wonderful night of shooting. This is a single exposure, no stacking, no tracking, no cropping, and no blending. I hope you like it. Shots edited in Lightroom and PS.